The Jerry Blog! : Ultimate Brackets - 2 to 6 Flashes Per Modifier! 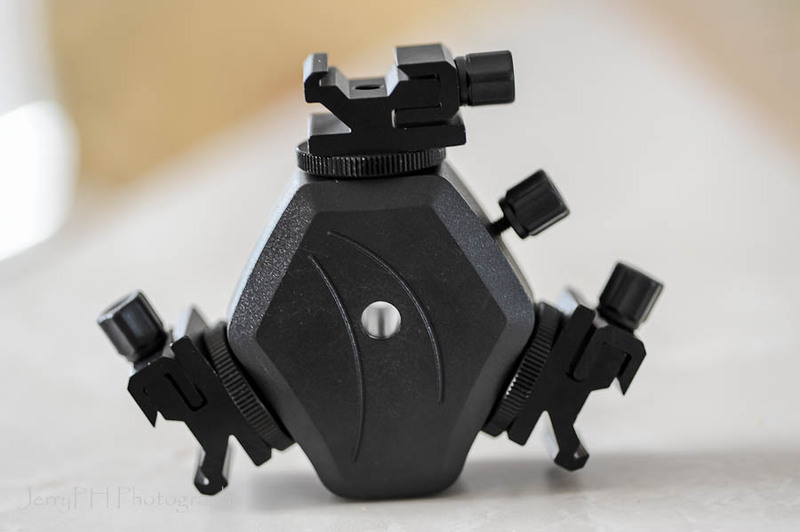 Ultimate Brackets - 2 to 6 Flashes Per Modifier! Update 2: New info about a triple bracket at bottom of the page! Update 1: New info about v.2.0 about 2/3rds down the page! 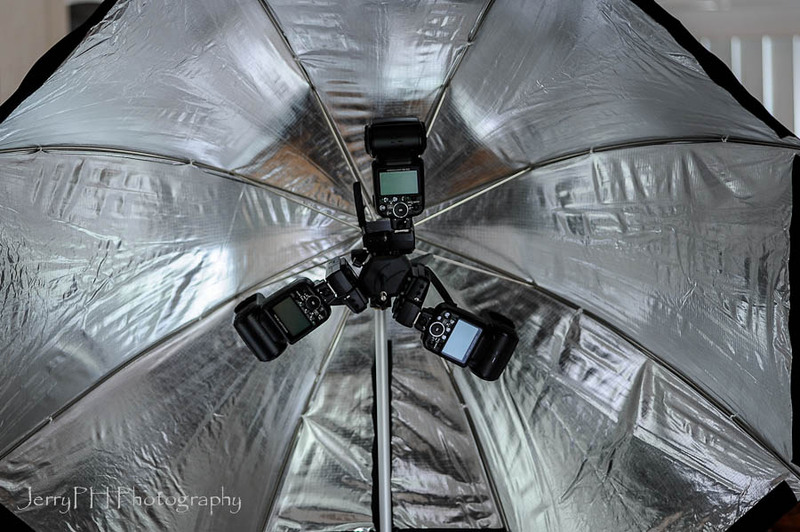 With the Addition of the 2 softboxes to my toolkit, I wanted to maximize it's potential in an affordable manner. 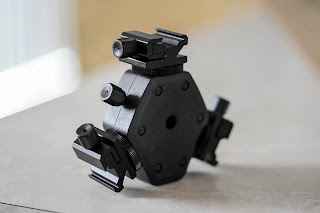 Looking around, I saw that someone had already made a bracket that could hold 2 battery powered flashes but after a few seconds of thinking (and not much more thought than that), I decided I could make a functional bracket for a couple dollars using items that I already had in house. This is my Beta I version... maybe with my next one, I will make a few changes to. I had a piece of 4 foot metal stock that was 1/16th of an inch thick by 1-1/2 inches wide, a perfect start to the bracket. I simply cut it to a length of 5-1/2 inches and drilled 3 holes in it, one in the center and one on each end, 1 inch in from the edge (looking at it now, I could have made it 4-1/2 inches and it would have been slightly smaller without losing any functionality, but that makes no difference). Don't forget to file off the sharp edges before moving on. Now, I was in a bit of an excited rush and did not want to take the time to prime and paint it, besides, it was late, I was tired and I was not in "perfectionist mode"... so instead of painting and priming and waiting 12 hours for it to all cure, I simply wrapped it in black tape (I know, cheap, but as I said, this is just my beta version). Screw the cold shoes to the outside of the bracket, screw the brass stud to the center. THAT'S IT! Above you can see the 3 bolt heads, the brass stud, the 2 cold shoes and the metal bracket. Simplicity in itself. The big question is... does that 2nd flash make any difference? Yes it does. As any good strobist will tell you, every time you double the power or number of lights, you get exactly one stop of light more. Now, that doesn't sound like much, but that one extra stop can often make the difference between getting the shot or not. 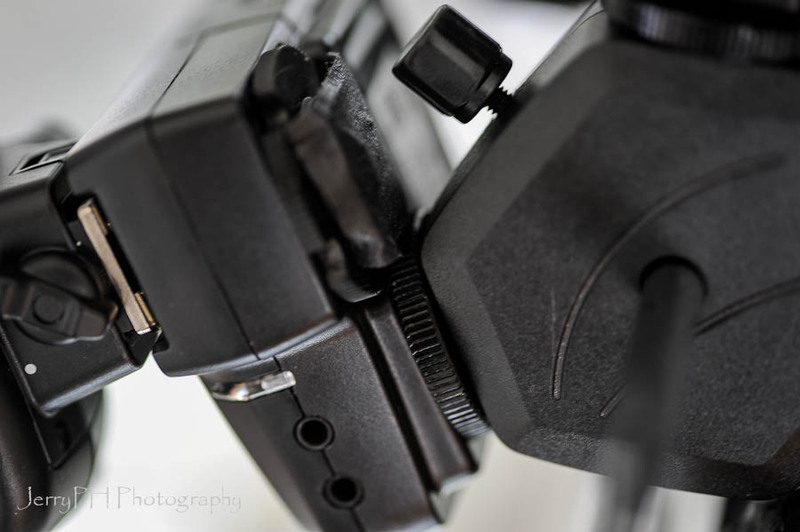 Also, even if you do not need that extra stop, what it does do is permit you to cut your flash power in half and that increases battery life significantly and still keep the same exposure levels! Again, it doesn't look like much, but if you don't have it and need it... no shot. In any case, it is nice to have it and not need it, rather than need it and not have it. People need to also be aware that one could also raise ISO and further increase the effectiveness of the light. Now, if you happened to have a camera like a D700, one could raise ISO as far as ISO 3200-6400 and get tremendous versatility of this setup. Even older dSLR cameras could easily get at least 2 stops of added the light output by going from ISO 100 to ISO 400, which is very clean in most cases. 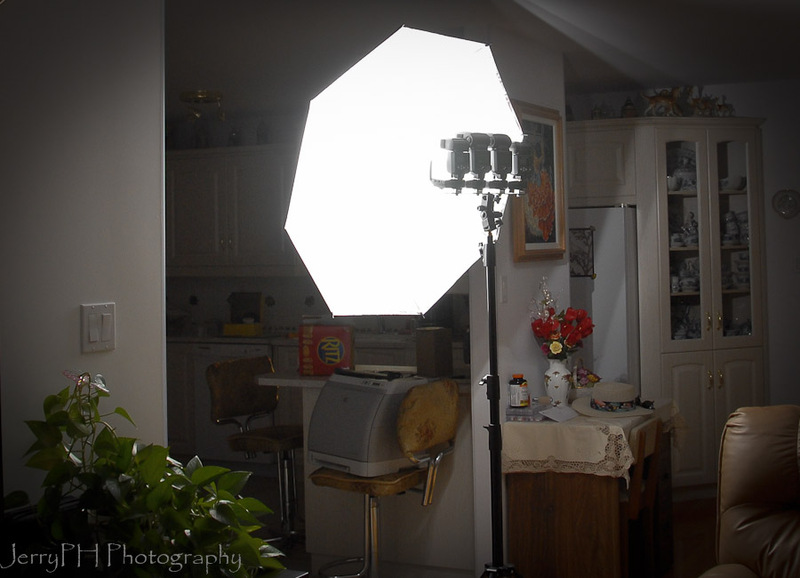 Combining these two (double lights and raising ISO), together, does make a significant difference. 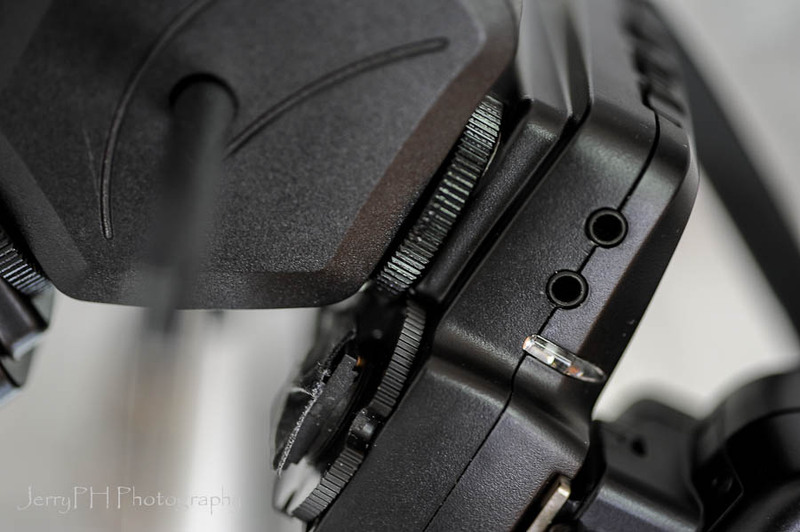 Some added info... you may be asking yourself, "how do you control the flash output?". 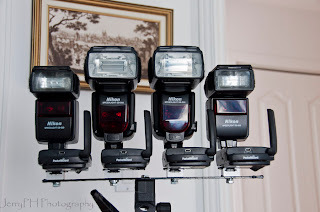 Well, I could set the lights to full manual mode and adjust them from their on flash menus, but this is one time that having Nikon is an advantage over other brands. 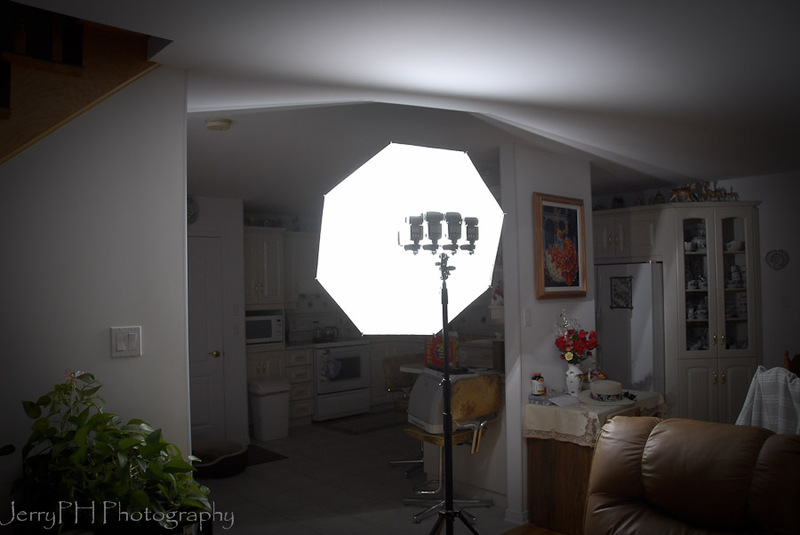 because with CLS, I have two additional ways that I can control the flashes, both without needing to touch the softbox. (addendum: With my PW ControlTL units, make that a 3rd and my most preferred way!). I can use iTTL and have the flashes adjust themselves completely automatically, or I can set them to remote manual and control them from either the commander mode in the camera or the commander mode of my SB-800. 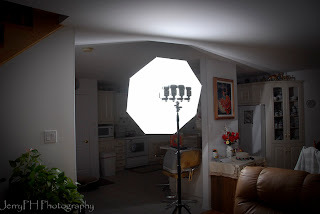 This means that I do not have to cross the room to change flash power settings, or if I happen to be using an assistant, they do not have to touch the flash settings, I have complete control over their functionality from either my camera or camera mounted SB-800. My thoughts are... use the D700's internal commander mode when I am inside and will be within 20 feet of the SB-600's (and yes they do work well... even from behind the softbox, I can trigger them from as far away as 20 feet indoors), and if I needed a little extra distance, I would use the SB-800 and get greater distances (I figure between 30-40 feet indoors and 20-30 feet outdoors... I will have to test this out... or use the new ControlTL units and get a reliable range of about 150 feet!). 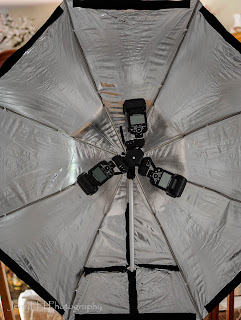 Here is another advantage... get that lightstand CLOSE to your subject and crank up that speed to anywhere from 1/320th to 1/8000th of a second for some Auto FP High Speed Sync Flash! Using CLS, I can get away with using cold shoes (do an internet search for the difference between a cold shoe adapter and a hot shoe adapter), however, if you were not a Nikon user and wanted to do this, you may add 2 hot shoe adapters instead of the cold shoe adapters and use the traditional Pocket Wizards (or any wireless trigger method of your choice), to trigger the flashes from greater distances. 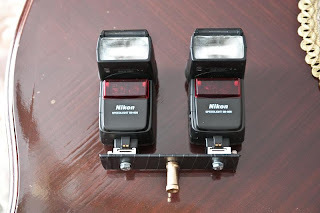 Of course, this would mean adjusting the flashes manually unless one was using the newer Pocket Wizards that will support iTTL (or the Radio Poppers). 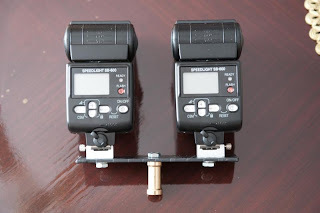 With a $2 adapter from Radio Shack, one could place the 2 sync wires from the 2 flashes into 1 splitter and use 1 Pocket Wizard II, which is what I plan to do when distances exceed the CLS capabilities. So, what was the total cost for me? Nothing, zip, nadda... free. I had all these things in my camera case and the bracket stock metal was bought for another project )$5 for a 4 foot length, if I recall correctly). So... what is in store for my Beta II version? I'm not sure, I need to give it a bit more thought, but some thoughts are that perhaps in the future, it will likely be 2 inches wider, primed and painted (BBQ paint is very durable) and be able to support as many as 4 flashes. That's it for this blog entry... enjoy! Update 1: v.2.0 ... The Light Monster! Version 2.0 is a small bracket that holds not 2 flashes... but 4! I decided to place them all side-by-side on a small metal bar with 4 cold shoe attachments, and the reason it came to me to do this, was because I had 5 Pocket Wizard FlexTT5 units and the thought of a setup like this that is TTL controlled is just really interesting to me. 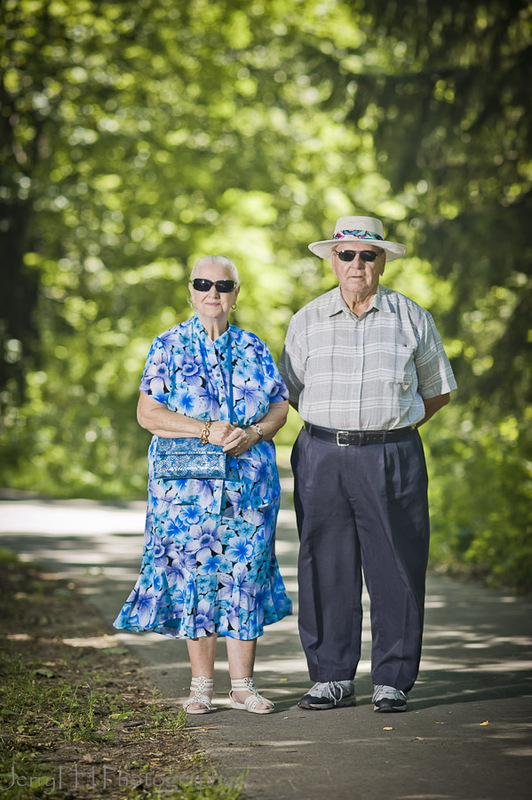 There are times when one just wants a fast adjusting, portable solution when shooting under the most brutal of lighting conditions... those times that you are outside around noon and it is a super bright day, for example. These are the times that one really appreciates Nikon's HSS. Being able to match and sometimes, overpower the sun at shutter speeds way above your maximum sync speed makes shooting wide open apertures with pleasantly blurred backgrounds really easy and fun. You can tell that it is really simple... a small piece of aluminum stock that is 1 inch by 16 inches long is what I used. I first cut it to size, then did my "lazy boy" thing and instead of painting it, just wrapped it in black electrical tape after I drilled 4 holes in it to accommodate the 1/4-20 screws that hold the cold shoes in place. Took me all of 10 minutes to make, if you include the few seconds I took to deburr the holes and sharp edges with a small metal file! Does it work with an umbrella? Yes and nicely too. The one thing is that because the flashes are all beside each other, their shape is not round but more wide. 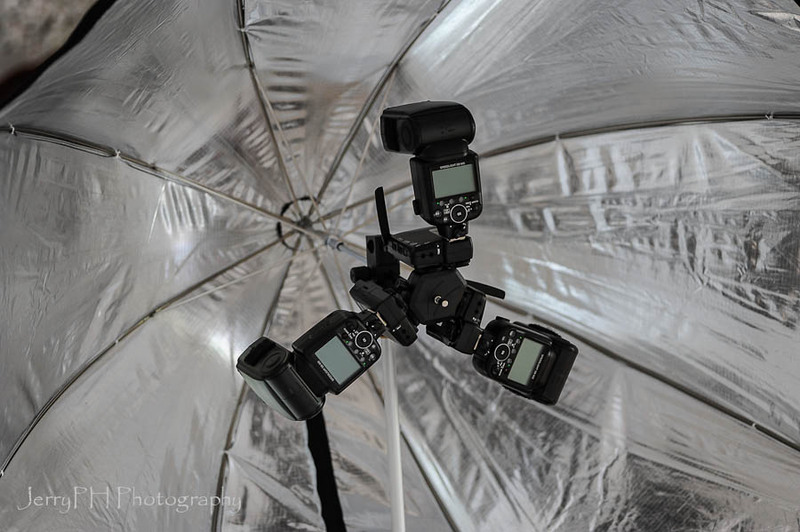 If I was going to regularly use them with an umbrella, I would place the outer 2 SB-600s downwards, but for all other usage, having them side by side is better. So, what kind of photos can one expect? 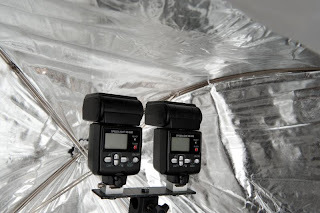 Well, since my thought was to use these outdoors in harsher conditions, one would want maximum light output at a shutter speed that would permit us to use large apertures, right? So, no light modifiers on them for one, though if you wanted to, you could, of course, just get the flashes closer to your subjects.. Without a light softener of any kind, in harsh conditions, it still can do a good job: I am not one to push the crap out of my flashes if I do not have to, and even to get a little fill flash under these harsh conditions would be tough for a single flash, but with 4 flashes, its a lot kinder to them, and let's me regain control of the situation. The EXIF information for this shot is: ISO 100, shutter speed of 1/1250th (no typo that is one one-thousand, two-hundred fiftyth of a second), at 135mm and F/2.8 for my choice of aperture. 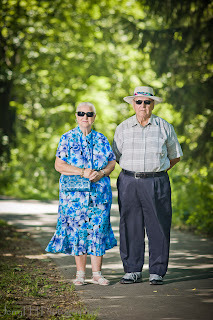 Because I used 4 flashes, I did not need to bring them as close and the area covered was much larger. I had the light stand about 15 feet away and still had recycle times of around 1.5 seconds, which means I was still far away from full power blasts.If I wanted to cut the power down even more, I would have zoomed the heads in a bit more from their default 24mm values. A really well lit shot under difficult conditions, and thanks to the PW ControlTL units, it was done without me touching the lights, thanks to Nikon's iTTL. Without HSS flash, this photo would be possible to do, and I would be forced to have settings of ISO 100, 1/250th and an aperture of around F/6.3 (if I did my calculations correctly off the top of my head), which would kill a lot of my lovely background blur and totally change the character of this shot. 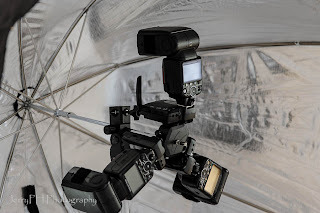 I will suggest a couple of things, though... outside, if you avoid the umbrellas and softboxes, you may be able to get away under conditions of very low wind, but still, I will tell you that a strong and wide light stand is still mandatory. Even then, if you value your equipment, you will use either some sandbags or tie down the stand with ropes to some tent pegs if you are smart... 4 flashes and 4 PW FlexTT5 transceivers is a LOT of money and you do not want that crashing over in a burst of wind or because the outside terrain was not considerate enough to be perfectly flat and level for you! Update 2: The Triple Bracket! 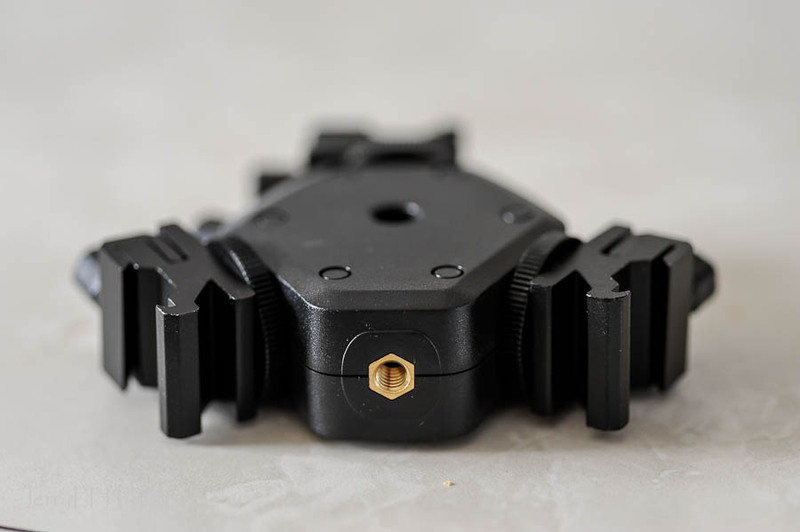 This bracket, as mentioned, is designed to hold 3 flashes on an adapter using a coldshoe that is of higher than average quality, so that is nice. The thing that I like even better, is that the cold shoe comes off, leaving a 1/4-20 bolt with tightening screw (I took the screw off in the pic, but it is visible in the next lower photo), which means that I can place the PocketWizard FlexTT5 on there directly without placing any pressure on the Flex's plastic hotshoe, instead using the 1/4-20 hole that the screw fits perfectly. Here you can see that the hotshoe of the FlexTT5 is unused, not it's hotshoe. 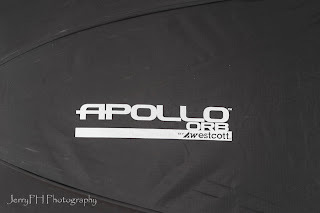 My modifier of choice for this part of the post is the Apollo ORB. Here one sees the three SB-900's sitting in FlexTT5 transceivers. 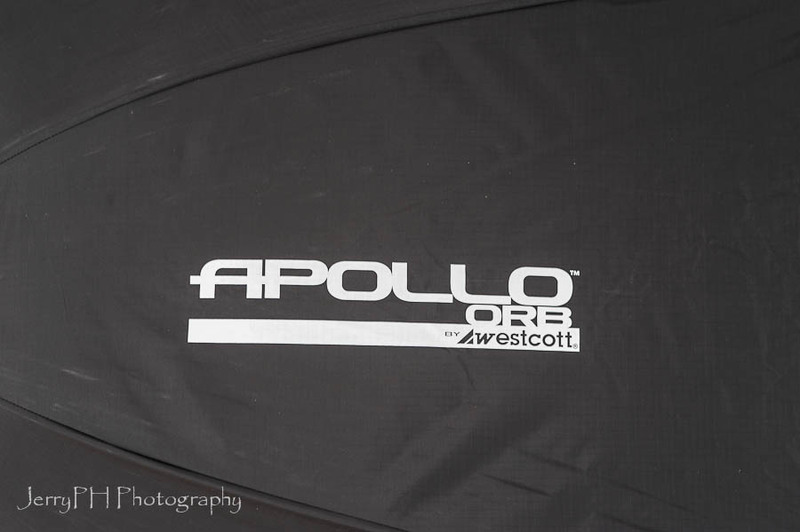 Traditionally, with the Apollo line, the flash sits quite close to the back of the modifier, often within an inch or so of the rear. 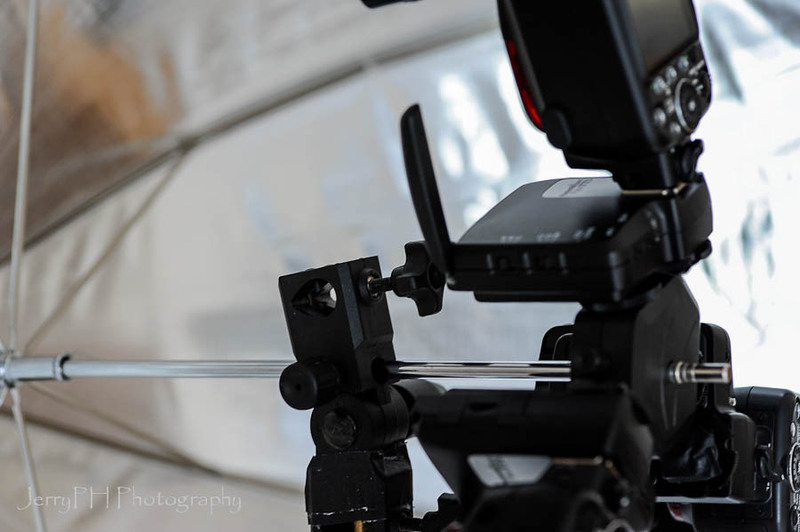 With this setup, one can place the shaft into the shaft hole of your umbrella swivel bracket and then place the flash bracket "in front", increasing the distance that the flashes are from the rear, and hence, increasing light dispurtion a little more, giving you a more even, pleasant light spread. There is one more final advantage I kinda like... if 3 flashes is not enough, it is easy to add another bracket and increase your number of flashes to a total of six, which is a lot! 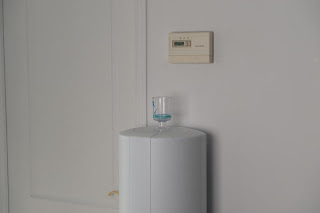 So, this thing looks pretty good, but does this setup have any disadvantages? First, you will have to be VERY careful. Because the location of the flash is pushed to one side, and no longer cenetered at the top of the lightstand, you ABSOLUTELY MUST use sandbags to keep it from toppling over a lot easier than when having the flashes in the traditional location. This goes times TEN if you are using the PCB mini-boom which pushes it even more further out to one side. Now, that said, there is a tapped metal hole with a 1/4-20 thread built into the bracket, and one could (should?) 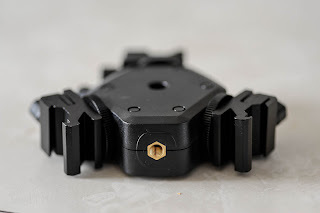 add a "brass monkey" there to then allow it to be placed into your umbrella mount, it is the wiser thing to do, IMHO. 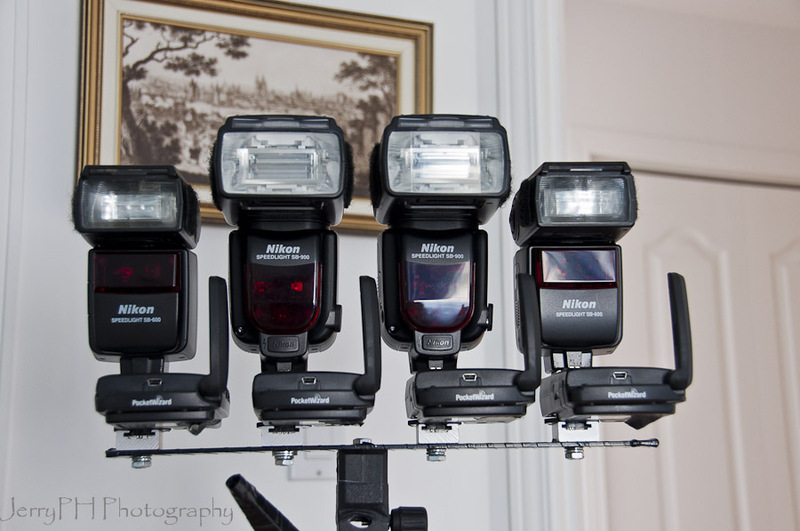 The imbalance issue is eliminated with 3 flashes, and greatly reduced when doing the 6 flash "thingie". 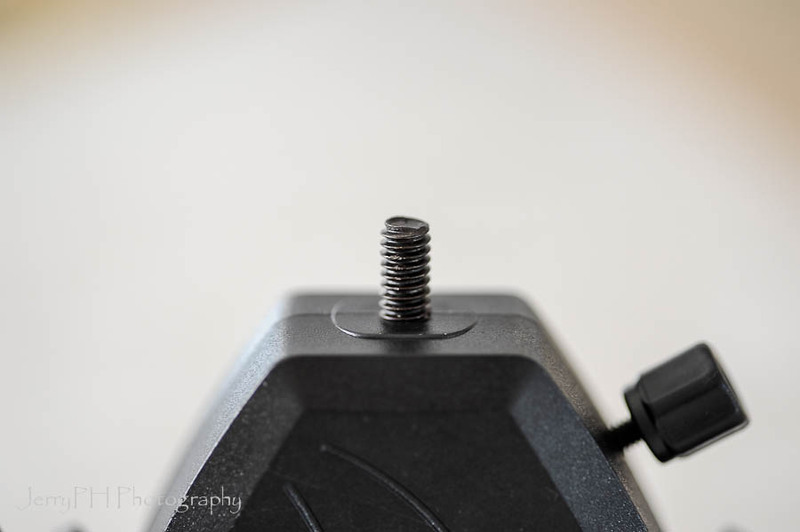 Second... the screw that holds the bracket to the shaft is far from reliable. 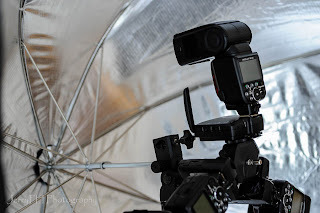 Matter of fact, I would highly recommend that you add a piece of gaffer tape to the edge of the umbrella shaft to keep the bracket/triggers/flashes from just falling off when it comes loose. I'd go so far as to see if I could add drill/tap another screw so that it has two points of pressure to hold it in place. Third... weight. It is surprising how much weight three flashes and triggers add, and if you double up on the setup and go for 6 flashes, be ready to use a premium quality lightstand and don't be surprised if the umbrella shaft bends with that much weight on it. This shaft bending can be minimized if you push the breacket(s) as close to the umbrella swivel bracket as possible, which also brings the weight closer to the middle, but with the 2 breackets on there, just use common sense. 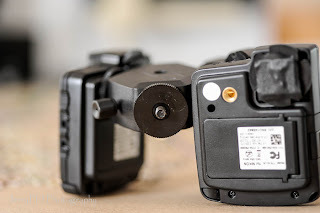 In the case of now using a modifier like a PCB PLM, having flashes in that location makes it a much more viable tool should you wish to have a portable setup like this. 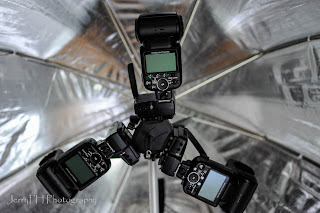 Me, I may try it, just for fun and so that I know from expereince what the results are, but I'll stick to using a studio head in there for maximum effectiveness with that PLM when I want to get serious about using that modifier. 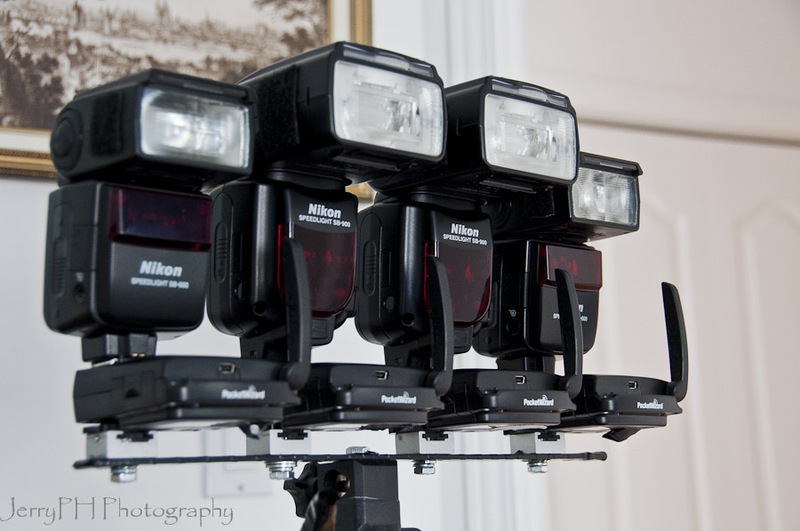 - nice way to add 3 or 6 speedlights (when using two brackets), into a single modifier. 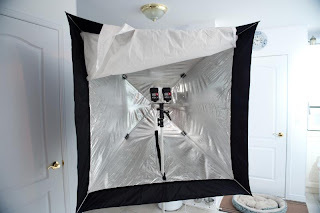 - it moves the flashes further away from the back of the reflective surface, giving a more even/complete spread, though to be honest, with modifiers like the Apollo line, this was never an issue. 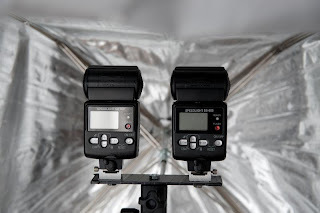 - I suggest not using less than 3 speedlights (or 6 with 2 breackets), it unbalances the entire thing. 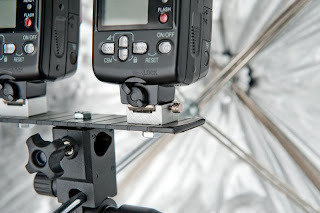 - the amount by which it destabilizes the lightstand is surprising. Using the PCB Miniboom adds to this detabilization... use heavy sandbags and use a lightstand with broad/wide feet. If you don't do this, and when it falls over (and I can guarantee it WILL), don't say I didn't warn you. In the end, we have yet another tool added into your kit to help you get the shot, so get out there, get creative and take those wonderful photos we all love!